Was How We Search the Internet Patented in 1970? Today’s Patent of the Day is admittedly outside of my realm of education and experience, which is generally chemistry, biology, and mechanically focused. Nonetheless, I am intrigued by this one and hope to get some feedback from those entrenched in Internet technology matters. 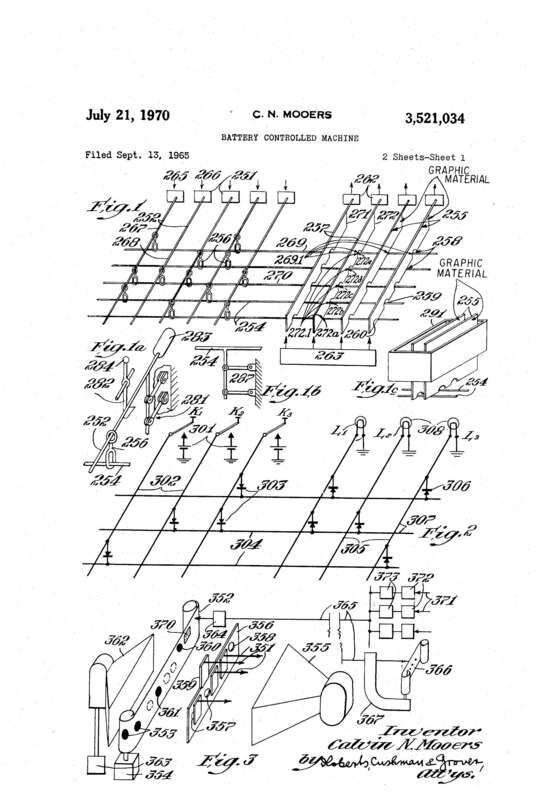 On July 21, 1970, Calvin Mooers received U.S. Patent no. 3,531,034, entitled “Battery Controlled Machine”. Mr. Mooers is apparently the “father” of information retrieval, and at least according to some who have studied this patent in detail, “the lasting signficance of this patent is that ‘It is the way we search the Internet'”. 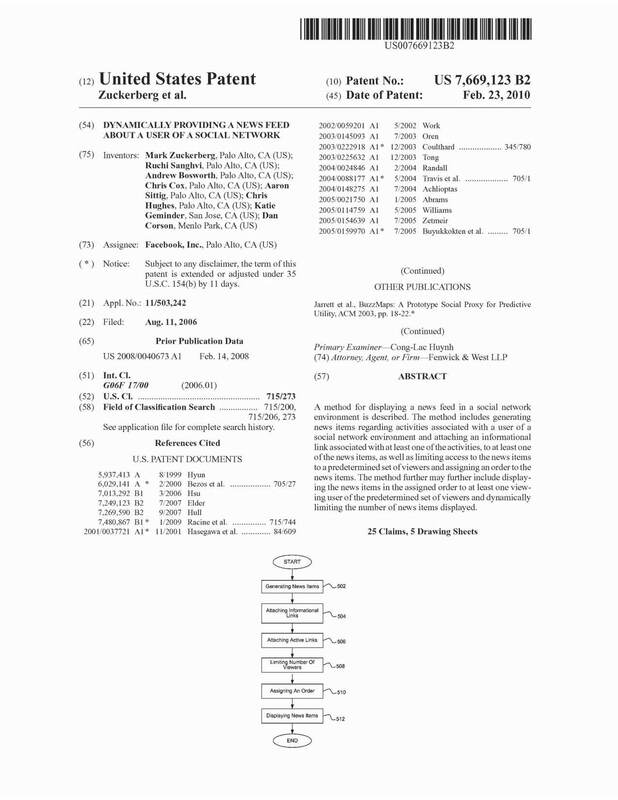 At least one researcher on the subject found it to be quite amazing that the U.S. Patent Office was able to discern the merits, given the state of the art at the time of filing and examination of the patent. You can give it a go at http://www.innovativeip.us/images/pat3521034.7.21.pdf. I’d love to have a comment or two from someone “in the know”. Enjoy!